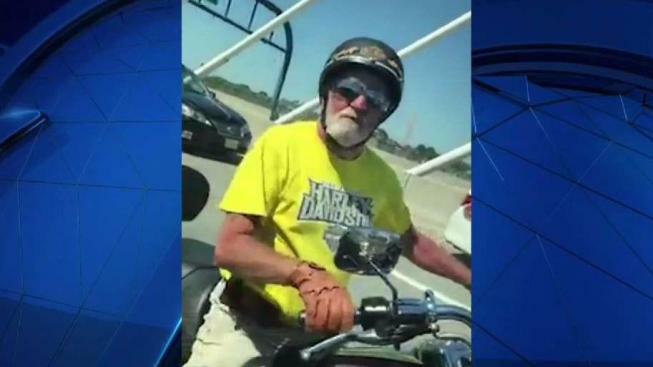 Massachusetts State Police say they have identified a road rage suspect who was involved in an incident on Monday afternoon and he will be summonsed to court on multiple charges. The Zakim Bridge incident happened at 2:40 p.m. and was caught on camera. Video appeared to show a man kicking and punching the side of a car traveling in the southbound lane of Interstate 93. The man was driving a motorcycle. State police said the suspect came to the local barracks on Wednesday morning and acknowleged that he was the man in the video. Troopers spoke to him and said they will be summonsing him to Boston Municipal Court to face charges of assault, threats to commit a crime, negligent operation and marked lanes violation. No court date has been set. Police said they do not typically release the names of suspects who are summonsed to court until the charges formally issue in court.